Easter is just around the corner, so I thought I’d gather up the best Easter and spring crafts to do with your toddlers, big kids and teens. My daughter and I had so much fun making all of these and I know you will too! This butterfly craft came out amazing! We made it especially easy with a free template you can use. Once you’ve printed your stencils, follow along with the simple step-by-step instructions and you will have a masterpiece in your window too! How cute is this little chick! There are two different options to choose. One that has the phrase, “Happy Easter!” The other coloring sheet has no words. Grab your crayons and have some fun! 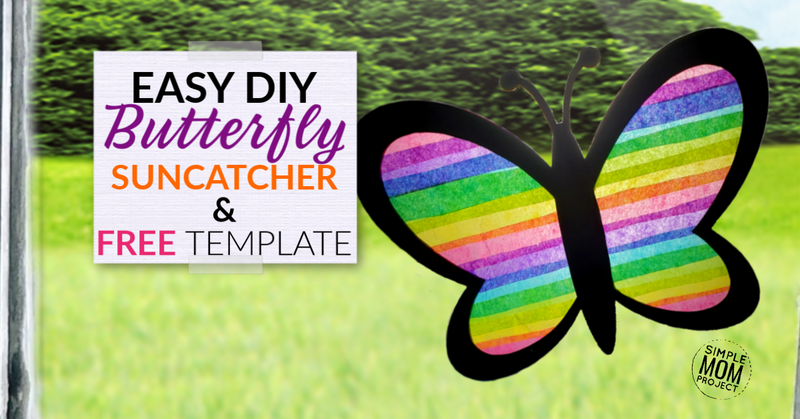 Along the theme of the above diy butterfly suncatcher, we also made an Easter egg suncatcher. You and your kids will have so much fun making this egg! It comes with a free printable stencil too! This Easter bunny craft is just about the easiest and most adorable bunny rabbit you can make! All it takes is a few Popsicle sticks, foam sheets and fun! Don’t forget about the printable template too! Another suncatcher? I THINK SO! We went on a suncatcher binge and we couldn’t leave out the main star of Easter? Print the stencils and follow along with the instructions. It’s that easy. This one comes with a video tutorial too! My oldest is a huge painter and to fit in with the Do-A-DOT trend, we decided to make our own version of Do-A-Dot, but with q-tips! I am ALL about crafts with household items! How about you? If you have a little girl, you know that no holiday is complete with out a unicorn craft. So I just HAD to throw one in there too. This unicorn mask comes with two different style templates. One that is a coloring sheet. Just print, color and play. The other is a bit more crafty. The tutorial covers exactly how to make it. I know for certain that your little girl (or boy) will have an awesome time making one! These eggs are so GORGEOUS! We will definitely be making them with our kiddos this year! 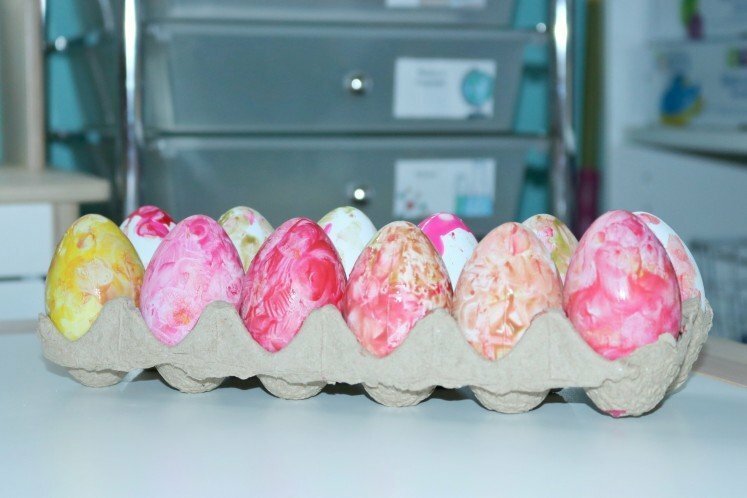 It’s so easy and who would have thought to decorate Easter eggs with paint instead of food coloring?! I don’t know about your little kids, but mine LOVE, LOVE, LOVE to color. We just had to add another coloring page in the mix of all these Easter crafts! Thanks The Keeper of the Memories! Spring is a beautiful time of year with so many colors to see! I can’t wait to see which one you and your kiddos decide to make. 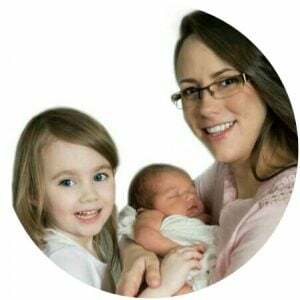 Be sure to share them on Simple Mom Project’s Facebook page and follow us on Pinterest.